Joni Eareckson Tada led a very physically active lifestyle in her early years. She was interested in all kinds of outdoor activities like tennis, hiking, swimming, and horse riding. In 1967, just a few months before her 18th birthday, Joni had a terrible diving accident in the Chesapeake Bay which left her a quadriplegic for life. Apparently, she did not know the water was too shallow for diving. This mistake would change her life forever. For the first couple of years after the accident, Joni was extremely depressed and had suicidal thoughts over her unfortunate situation. However, she learned how to be productive as a quadriplegic after going through occupational therapy. This taught her to perform creative therapeutic activities like paint pictures, write books, record music, and give motivational speeches. These are all things that she never thought she’d be able to do again when she was first going through her rehabilitation. For the last 50 years, Joni has continued to lead a very productive life that has been devoted to her Christian faith and encouraging others with disabilities to never give up on life. Below are the seven main things that Joni did to overcome her tragedy and move on with her life in a happy and productive way. 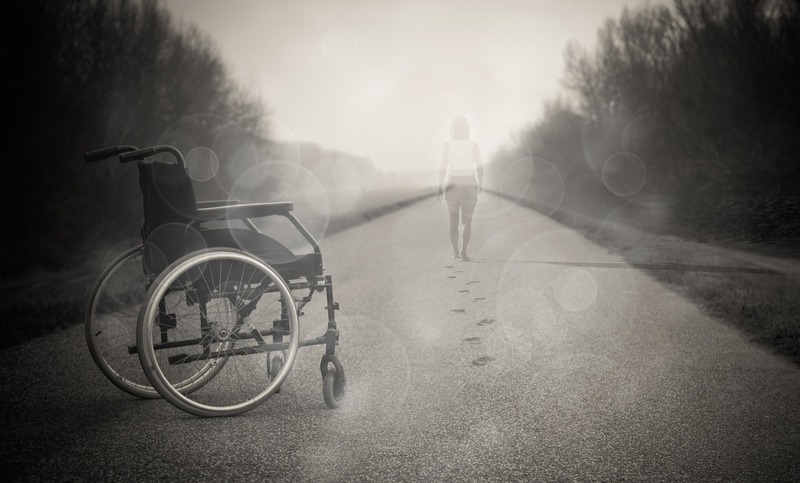 If you are suffering from a disability, perhaps these methods can inspire you to move forward positively as well. When people are forced to face a terrible disability for the first time, it tends to make them want to shut themselves off from the rest of the world. If other people try to offer them help, the disabled person will push them away because they don’t want to feel like they need special treatment. They still want to feel like they’re whole again. However, the sooner that a disabled person accepts help from others, the easier it will be for them to cope with their situation. For the first two years of Joni’s rehabilitation, she had a tough time accepting help. But when she learned that she could still lead a productive life with a little help from other people, life didn’t seem so bad to her anymore. As some wheelchair-bound people would remark, there is a world of difference between being inspired by those in Joni’s situation, and those who are somehow being congratulated. Joni has stated what many others have stated and that is that we all acknowledge that we need help from time to time, but we do not all want to be applauded as a species of inspiration. Those with disabilities repeatedly state that they just want to be treated like everyone else. Self-improvement as a quadriplegic means learning to do normal activities all over again. Joni may not have been able to ride horses or go swimming anymore, but she was able to learn how to still be active in other ways. For example, she learned to paint pictures by holding a brush with her teeth, and she learned to write books by using voice recognition software. There are always things you can do to improve yourself, even though you’re disabled. You just need to work hard at learning new ways of doing things that you used to take for granted. Joni may have wanted to give up in the beginning, but once she got over that stump and embraced life, she never wanted to give up again. There will always be pain and negative thoughts when you’re first faced with a disability. It may even take a couple of years before you can even begin to rehabilitate your thinking. But once you’re ready never to give up, then you will keep improving yourself rather than continuing to live in misery. Joni turned to her God and her Christian faith when seeking help in her life. Her spiritual community allowed her to see how positive things could come out of her situation, such as helping and inspiring others. More importantly, she prayed to God for purpose in her life and she eventually found it. Others are encouraged to do the same. In 1979, Joni founded a nonprofit organization called Joni and Friends. The goal of the organization is to introduce the disabled community around the world to Christianity. The organization creates lots of helpful programs for disabled people, such as family camping retreats and Wounded Warrior Getaways. Helping other people in this way was therapeutic for Joni as well. It made her feel important in a lot of people’s lives. Painting has become both a hobby and business for Joni. She started painting as a way to express her feelings and thoughts. Then she started to sell her artwork with a lot of success doing that. But it wasn’t the business side of painting that Joni enjoyed. The artwork helped her deal with a lot of her emotions in a creative way rather than a harmful way. Anyone suffering from a disability should take up an artistic hobby. Since 1982, Joni has been married to a Japanese American man named Ken Tada. They are still married after all these years and continue to be happy together. A quadriplegic might think that finding love and companionship is impossible in their situation, but it is not. You just need to have faith in love because there is always someone out there who will look past the disability and embrace what is in your heart. David lives in Australia and has a background in business consulting and small business motivation. He also writes for Self Growth, Business.com and Born 2 Invest.